Methods of extension of the Schwarzschild metrics to the 8D symplectic phase manifold are considered. The method used is based on Sasaki’s metric of the tangent bundle over the pseudo-Riemannian 4D space-time manifold. 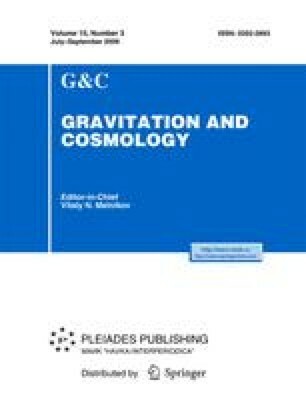 C. P. Burgess, Quantum Gravity in Everyday Life: General Relativity as an Effective Field Theory, http://relativity.livingreviews.org/lrr-2004-5 (2004). M. Heusler, Stationary Black Holes: Uniqueness and Beyond, ITP, University of Zurich, http://wwwtheorie.physik.unizh.ch/heusler (1998). E. Poisson, The Motion of Point Particles in the Curved Spacetime, Living Rev. Relativity 7, http://www.livingreviews.org/lrr-2004-6 (2004).